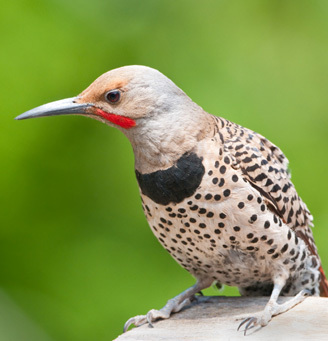 Find a new feathered friend like this Northern Flicker at one of this spring’s birding festivals. The daffodils are up, the cherry trees are blossoming and spring is in the air. The air is also full of birds migrating and nesting across the state of Oregon. Whether you’re a beginning birder or well-weathered friend of the feathered, you’ll enjoy these and other birding events in Oregon. Don’t miss the Harney County Migratory Bird Festival in Eastern Oregon’s Harney County April 5-8, 2018. 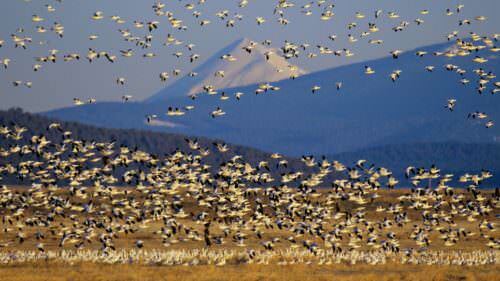 It’s your chance to view thousands of birds migrating through the high desert landscape of the Harney Basin. The family-friendly event includes a variety of birding activities as well as historical and cultural elements. There’s more than shorebirds at the 14th annual Birding & Blues Festival in Pacific City, April 20-22, 2018. Activities include trips to wildlife areas, talks with experts, special dinners and a live blues music concert. The fun kicks off on Friday with a free community open house and live bird presentation. The Tualatin River Bird Festival takes place in May 19, 2018 at the Tualatin River National Wildlife Refuge in Sherwood. 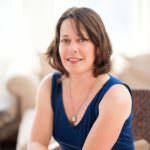 The family-focused event will include workshops on building bee boards and bird and bat houses, fly fishing and archery demos, and various educational outings, including an early morning bird walk as well as wildlife, wildflower and twilight walks. 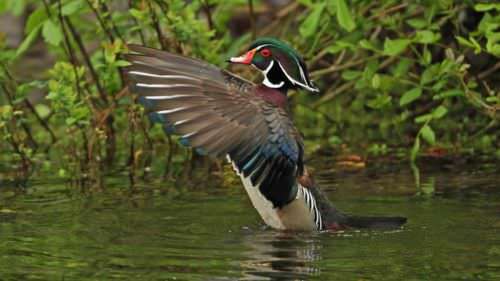 The Ladd Marsh Bird Festival in La Grande, May 18-20 2018, commemorates International Migratory Bird Day. Held at the Oregon Department of Fish and Wildlife’s Ladd Marsh, the weekend includes talks from experts, marsh outings and kids’ activities. 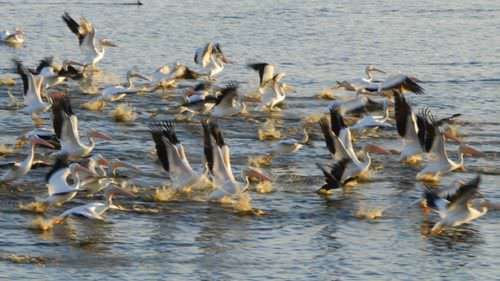 Visitors will have the chance to see more than 200 bird species that live at or pass through the area, including ducks, geese, raptors, passerines and shore birds. For more information about bird migrations and bird viewing areas, visit the ODFW’s Wildlife Viewing map.